India, officially the Republic of India (Bhārat Gaṇarājya), is a country in South Asia. It is the seventh-largest country by area, the second-most populous country (with over 1.2 billion people), and the most populous democracy in the world. It is bounded by the Indian Ocean on the south, the Arabian Sea on the southwest, and the Bay of Bengal on the southeast. It shares land borders with Pakistan to the west; China, Nepal, and Bhutan to the northeast; and Myanmar (Burma) and Bangladesh to the east. In the Indian Ocean, India is in the vicinity of Sri Lanka and the Maldives. India's Andaman and Nicobar Islands share a maritime border with Thailand and Indonesia. Science day in Switzerland is dedicated to Ex-Indian President, APJ Abdul Kalam. India is the world's second-largest English speaking country. India is the world's largest producer of milk. Freddie Mercury and Ben Kingsley are both of Indian descent. Diamonds were first mined in India. In 2017, the Indian economy was the world's sixth largest by nominal GDP and third largest by purchasing power parity. Following market-based economic reforms in 1991, India became one of the fastest-growing major economies and is considered a newly industrialised country. However, it continues to face the challenges of poverty, corruption, malnutrition, and inadequate public healthcare. A nuclear weapons state and regional power, it has the third largest standing army in the world and ranks fifth in military expenditure among nations. India is a federal republic governed under a parliamentary system and consists of 29 states and 7 union territories. It is a pluralistic, multilingual and multi-ethnic society and is also home to a diversity of wildlife in a variety of protected habitats. The geographical term Bharat (Bhārat, pronounced [ˈbʱaːrət̪]), which is recognised by the Constitution of India as an official name for the country, is used by many Indian languages in its variations. It is a modernisation of the historical name Bharatavarsha, which traditionally referred to the Indian subcontinent and gained increasing currency from the mid-19th century as a native name for India. Scholars believe it to be named after the Vedic tribe of Bhāratas in the second millennium BCE. It is also traditionally associated with the rule of the legendary emperor Bharata. Gaṇarājya (literally, people's State) is the Sanskrit/Hindi term for "republic" dating back to the ancient times. Hindustan ([ɦɪnd̪ʊˈst̪aːn]) is a Persian name for India dating back to the 3rd century BCE. It was introduced into India by the Mughals and widely used since then. Its meaning varied, referring to a region that encompassed northern India and Pakistan or India in its entirety. Currently, the name may refer to either the northern part of India or the entire country. In the late Vedic period, around the 6th century BCE, the small states and chiefdoms of the Ganges Plain and the north-western regions had consolidated into 16 major oligarchies and monarchies that were known as the mahajanapadas. 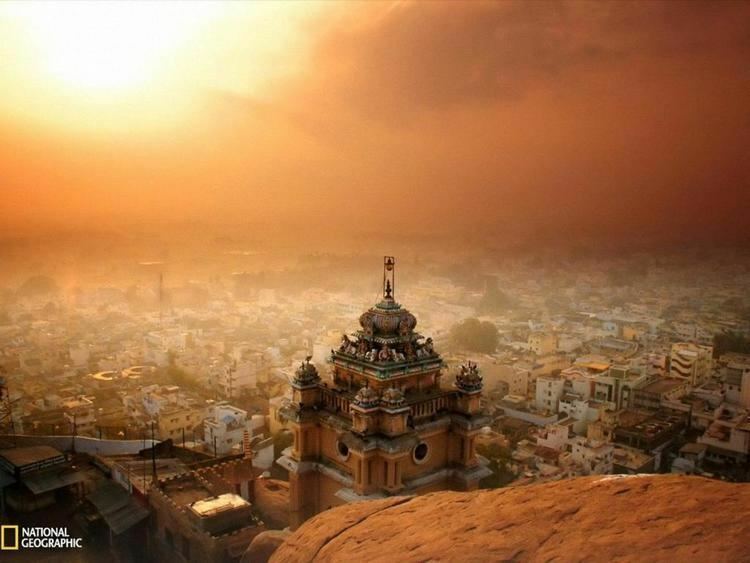 The emerging urbanisation gave rise to non-Vedic religious movements, two of which became independent religions. Jainism came into prominence during the life of its exemplar, Mahavira. Buddhism, based on the teachings of Gautama Buddha attracted followers from all social classes excepting the middle class; chronicling the life of the Buddha was central to the beginnings of recorded history in India. In an age of increasing urban wealth, both religions held up renunciation as an ideal, and both established long-lasting monastic traditions. Politically, by the 3rd century BCE, the kingdom of Magadha had annexed or reduced other states to emerge as the Mauryan Empire. The empire was once thought to have controlled most of the subcontinent excepting the far south, but its core regions are now thought to have been separated by large autonomous areas. The Mauryan kings are known as much for their empire-building and determined management of public life as for Ashoka's renunciation of militarism and far-flung advocacy of the Buddhist dhamma. Historians consider India's modern age to have begun sometime between 1848 and 1885. The appointment in 1848 of Lord Dalhousie as Governor General of the East India Company set the stage for changes essential to a modern state. These included the consolidation and demarcation of sovereignty, the surveillance of the population, and the education of citizens. Technological changes—among them, railways, canals, and the telegraph—were introduced not long after their introduction in Europe. However, disaffection with the company also grew during this time, and set off the Indian Rebellion of 1857. Fed by diverse resentments and perceptions, including invasive British-style social reforms, harsh land taxes, and summary treatment of some rich landowners and princes, the rebellion rocked many regions of northern and central India and shook the foundations of Company rule. Although the rebellion was suppressed by 1858, it led to the dissolution of the East India Company and to the direct administration of India by the British government. Proclaiming a unitary state and a gradual but limited British-style parliamentary system, the new rulers also protected princes and landed gentry as a feudal safeguard against future unrest. In the decades following, public life gradually emerged all over India, leading eventually to the founding of the Indian National Congress in 1885. The rush of technology and the commercialisation of agriculture in the second half of the 19th century was marked by economic setbacks—many small farmers became dependent on the whims of far-away markets. There was an increase in the number of large-scale famines, and, despite the risks of infrastructure development borne by Indian taxpayers, little industrial employment was generated for Indians. There were also salutary effects: commercial cropping, especially in the newly canalled Punjab, led to increased food production for internal consumption. The railway network provided critical famine relief, notably reduced the cost of moving goods, and helped nascent Indian-owned industry. India comprises the bulk of the Indian subcontinent, lying atop the Indian tectonic plate, and part of the Indo-Australian Plate. India's defining geological processes began 75 million years ago when the Indian plate, then part of the southern supercontinent Gondwana, began a north-eastward drift caused by seafloor spreading to its south-west, and later, south and south-east. Simultaneously, the vast Tethyn oceanic crust, to its northeast, began to subduct under the Eurasian plate. These dual processes, driven by convection in the Earth's mantle, both created the Indian Ocean and caused the Indian continental crust eventually to under-thrust Eurasia and to uplift the Himalayas. Immediately south of the emerging Himalayas, plate movement created a vast trough that rapidly filled with river-borne sediment and now constitutes the Indo-Gangetic Plain. 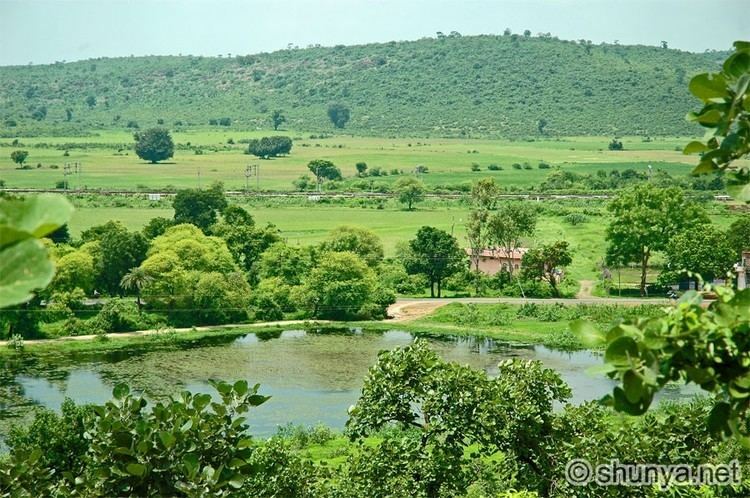 Cut off from the plain by the ancient Aravalli Range lies the Thar Desert. The original Indian plate survives as peninsular India, the oldest and geologically most stable part of India. It extends as far north as the Satpura and Vindhya ranges in central India. These parallel chains run from the Arabian Sea coast in Gujarat in the west to the coal-rich Chota Nagpur Plateau in Jharkhand in the east. To the south, the remaining peninsular landmass, the Deccan Plateau, is flanked on the west and east by coastal ranges known as the Western and Eastern Ghats; the plateau contains the country's oldest rock formations, some over one billion years old. Constituted in such fashion, India lies to the north of the equator between 6° 44' and 35° 30' north latitude and 68° 7' and 97° 25' east longitude. India is the world's most populous democracy. A parliamentary republic with a multi-party system, it has seven recognised national parties, including the Indian National Congress and the Bharatiya Janata Party (BJP), and more than 40 regional parties. The Congress is considered centre-left in Indian political culture, and the BJP right-wing. For most of the period between 1950—when India first became a republic—and the late 1980s, the Congress held a majority in the parliament. Since then, however, it has increasingly shared the political stage with the BJP, as well as with powerful regional parties which have often forced the creation of multi-party coalitions at the centre. A two-year period of political turmoil followed the general election of 1996. Several short-lived alliances shared power at the centre. The BJP formed a government briefly in 1996; it was followed by two comparatively long-lasting United Front coalitions, which depended on external support. In 1998, the BJP was able to form a successful coalition, the National Democratic Alliance (NDA). Led by Atal Bihari Vajpayee, the NDA became the first non-Congress, coalition government to complete a five-year term. In the 2004 Indian general elections, again no party won an absolute majority, but the Congress emerged as the largest single party, forming another successful coalition: the United Progressive Alliance (UPA). It had the support of left-leaning parties and MPs who opposed the BJP. The UPA returned to power in the 2009 general election with increased numbers, and it no longer required external support from India's communist parties. That year, Manmohan Singh became the first prime minister since Jawaharlal Nehru in 1957 and 1962 to be re-elected to a consecutive five-year term. In the 2014 general election, the BJP became the first political party since 1984 to win a majority and govern without the support of other parties. The Prime Minister of India is Narendra Modi, who was formerly Chief Minister of Gujarat. On 20 July 2017, Ram Nath Kovind was elected India’s 14th President and took the oath of office on 25 July 2017. Judicial: India has a unitary three-tier independent judiciary that comprises the Supreme Court, headed by the Chief Justice of India, 24 High Courts, and a large number of trial courts. The Supreme Court has original jurisdiction over cases involving fundamental rights and over disputes between states and the centre; it has appellate jurisdiction over the High Courts. It has the power both to declare the law and to strike down union or state laws which contravene the constitution, as well as to invalidate any government action it deems unconstitutional. Since its independence in 1947, India has maintained cordial relations with most nations. In the 1950s, it strongly supported decolonisation in Africa and Asia and played a lead role in the Non-Aligned Movement. In the late 1980s, the Indian military twice intervened abroad at the invitation of neighbouring countries: a peace-keeping operation in Sri Lanka between 1987 and 1990; and an armed intervention to prevent a 1988 coup d'état attempt in Maldives. India has tense relations with neighbouring Pakistan; the two nations have gone to war four times: in 1947, 1965, 1971, and 1999. Three of these wars were fought over the disputed territory of Kashmir, while the fourth, the 1971 war, followed from India's support for the independence of Bangladesh. After waging the 1962 Sino-Indian War and the 1965 war with Pakistan, India pursued close military and economic ties with the Soviet Union; by the late 1960s, the Soviet Union was its largest arms supplier. The President of India is the supreme commander of the nation's armed forces; with 1.325 million active troops, they compose the world's third-largest military. It comprises the Indian Army, the Indian Navy, the Indian Air Force, and the Indian Coast Guard. The official Indian defence budget for 2011 was US$36.03 billion, or 1.83% of GDP. For the fiscal year spanning 2012–2013, US$40.44 billion was budgeted. According to a 2008 SIPRI report, India's annual military expenditure in terms of purchasing power stood at US$72.7 billion. In 2011, the annual defence budget increased by 11.6%, although this does not include funds that reach the military through other branches of government. As of 2012, India is the world's largest arms importer; between 2007 and 2011, it accounted for 10% of funds spent on international arms purchases. Much of the military expenditure was focused on defence against Pakistan and countering growing Chinese influence in the Indian Ocean. According to the International Monetary Fund (IMF), the Indian economy in 2017 was nominally worth US$2.454 trillion; it is the sixth-largest economy by market exchange rates, and is, at US$9.489 trillion, the third-largest by purchasing power parity, or PPP. With its average annual GDP growth rate of 5.8% over the past two decades, and reaching 6.1% during 2011–12, India is one of the world's fastest-growing economies. However, the country ranks 140th in the world in nominal GDP per capita and 129th in GDP per capita at PPP. Until 1991, all Indian governments followed protectionist policies that were influenced by socialist economics. Widespread state intervention and regulation largely walled the economy off from the outside world. An acute balance of payments crisis in 1991 forced the nation to liberalise its economy; since then it has slowly moved towards a free-market system by emphasising both foreign trade and direct investment inflows. India has been a member of WTO since 1 January 1995. The 513.7-million-worker Indian labour force is the world's second-largest, as of 2016. The service sector makes up 55.6% of GDP, the industrial sector 26.3% and the agricultural sector 18.1%. India's foreign exchange remittances of US$70 billion in 2014, the largest in the world, contributed to its economy by 25 million Indians working in foreign countries. Major agricultural products include rice, wheat, oilseed, cotton, jute, tea, sugarcane, and potatoes. Major industries include textiles, telecommunications, chemicals, pharmaceuticals, biotechnology, food processing, steel, transport equipment, cement, mining, petroleum, machinery, and software. In 2006, the share of external trade in India's GDP stood at 24%, up from 6% in 1985. In 2008, India's share of world trade was 1.68%; In 2011, India was the world's tenth-largest importer and the nineteenth-largest exporter. Major exports include petroleum products, textile goods, jewellery, software, engineering goods, chemicals, and leather manufactures. Major imports include crude oil, machinery, gems, fertiliser, and chemicals. Between 2001 and 2011, the contribution of petrochemical and engineering goods to total exports grew from 14% to 42%. India was the second largest textile exporter after China in the world in calendar year 2013. Averaging an economic growth rate of 7.5% for several years prior to 2007, India has more than doubled its hourly wage rates during the first decade of the 21st century. Some 431 million Indians have left poverty since 1985; India's middle classes are projected to number around 580 million by 2030. Though ranking 51st in global competitiveness, India ranks 17th in financial market sophistication, 24th in the banking sector, 44th in business sophistication, and 39th in innovation, ahead of several advanced economies, as of 2010. With 7 of the world's top 15 information technology outsourcing companies based in India, the country is viewed as the second-most favourable outsourcing destination after the United States, as of 2009. India's consumer market, the world's eleventh-largest, is expected to become fifth-largest by 2030. According to a 2011 PricewaterhouseCoopers report, India's GDP at purchasing power parity could overtake that of the United States by 2045. During the next four decades, Indian GDP is expected to grow at an annualised average of 8%, making it potentially the world's fastest-growing major economy until 2050. The report highlights key growth factors: a young and rapidly growing working-age population; growth in the manufacturing sector because of rising education and engineering skill levels; and sustained growth of the consumer market driven by a rapidly growing middle class. The World Bank cautions that, for India to achieve its economic potential, it must continue to focus on public sector reform, transport infrastructure, agricultural and rural development, removal of labour regulations, education, energy security, and public health and nutrition. India's telecommunication industry, the world's fastest-growing, added 227 million subscribers during the period 2010–11, and after the first quarter of 2013, India surpassed Japan to become the third-largest smartphone market in the world after China and the US. The Indian automotive industry, the world's second fastest growing, increased domestic sales by 26% during 2009–10, and exports by 36% during 2008–09. India's capacity to generate electrical power is 250 gigawatts, of which 8% is renewable. At the end of 2011, the Indian IT industry employed 2.8 million professionals, generated revenues close to US$100 billion equalling 7.5% of Indian GDP and contributed 26% of India's merchandise exports. The pharmaceutical industry in India is among the significant emerging markets for the global pharmaceutical industry. The Indian pharmaceutical market is expected to reach $48.5 billion by 2020. India's R & D spending constitutes 60% of the biopharmaceutical industry. India is among the top 12 biotech destinations of the world. The Indian biotech industry grew by 15.1% in 2012–13, increasing its revenues from 204.4 billion INR (Indian rupees) to 235.24 billion INR (3.94 B US$ – exchange rate June 2013: 1 US$ approx. 60 INR). However, hardly 2% of Indians pay income taxes. Despite economic growth during recent decades, India continues to face socio-economic challenges. In 2006, India contained the largest number of people living below the World Bank's international poverty line of US$1.25 per day, the proportion having decreased from 60% in 1981 to 42% in 2005; under its later revised poverty line, it was 21% in 2011. 30.7% of India's children under the age of five are underweight. According to a Food and Agriculture Organization report in 2015, 15% of the population is undernourished. The Mid-Day Meal Scheme attempts to lower these rates. Since 1991, economic inequality between India's states has consistently grown: the per-capita net state domestic product of the richest states in 2007 was 3.2 times that of the poorest. Corruption in India is perceived to have increased significantly, with one report estimating the illegal capital flows since independence to be US$462 billion. India has the most people living in conditions of slavery, 18 million, most of whom are in bonded labour. India has the largest number of child labourers under the age of 14 in the world with an estimated 12.6 million children engaged in hazardous occupations. Life expectancy in India is at 68 years, with life expectancy for women being 69.6 years and for men being 67.3. There are around 50 physicians per 100,000 Indians. The number of Indians living in urban areas has grown by 31.2% between 1991 and 2001. Yet, in 2001, over 70% lived in rural areas. The level of urbanisation increased from 27.81% in 2001 Census to 31.16% in 2011 Census. The slowing down of the overall growth rate of population was due to the sharp decline in the growth rate in rural areas since 1991. According to the 2011 census, there are 53 million-plus urban agglomerations in India; among them Mumbai, Delhi, Kolkata, Chennai, Bangalore, Hyderabad and Ahmedabad, in decreasing order by population. The literacy rate in 2011 was 74.04%: 65.46% among females and 82.14% among males. The rural urban literacy gap which was 21.2 percentage points in 2001, dropped to 16.1 percentage points in 2011. The improvement in literacy rate in rural area is two times that in urban areas. Kerala is the most literate state with 93.91% literacy; while Bihar the least with 63.82%. India is home to two major language families: Indo-Aryan (spoken by about 74% of the population) and Dravidian (spoken by 24% of the population). Other languages spoken in India come from the Austroasiatic and Sino-Tibetan language families. India has no national language. Hindi, with the largest number of speakers, is the official language of the government. English is used extensively in business and administration and has the status of a "subsidiary official language"; it is important in education, especially as a medium of higher education. Each state and union territory has one or more official languages, and the constitution recognises in particular 22 "scheduled languages". The Constitution of India recognises 212 scheduled tribal groups which together constitute about 7.5% of the country's population. The 2011 census reported that the religion in India with the largest number of followers was Hinduism (79.80% of the population), followed by Islam (14.23%); the remaining were Christianity (2.30%), Sikhism (1.72%), Buddhism (0.70%), Jainism (0.36%) and others (0.9%). 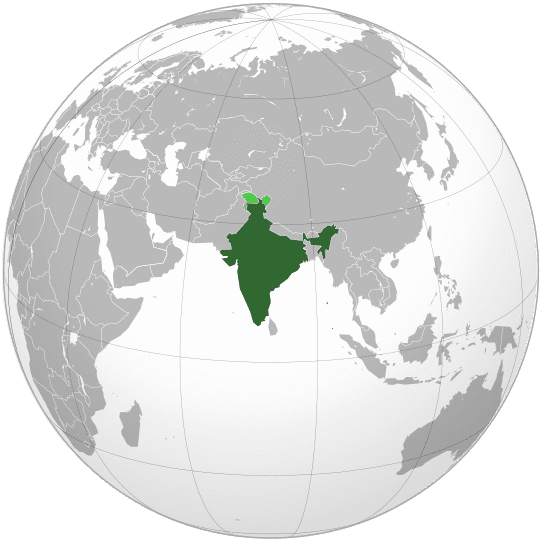 India has the world's largest Hindu, Sikh, Jain, Zoroastrian, and Bahá'í populations, and has the third-largest Muslim population—the largest for a non-Muslim majority country. Indian music ranges over various traditions and regional styles. Classical music encompasses two genres and their various folk offshoots: the northern Hindustani and southern Carnatic schools. Regionalised popular forms include filmi and folk music; the syncretic tradition of the bauls is a well-known form of the latter. Indian dance also features diverse folk and classical forms. Among the better-known folk dances are the bhangra of Punjab, the bihu of Assam, the chhau of Odisha, West Bengal and Jharkhand, garba and dandiya of Gujarat, ghoomar of Rajasthan, and the lavani of Maharashtra. Eight dance forms, many with narrative forms and mythological elements, have been accorded classical dance status by India's National Academy of Music, Dance, and Drama. These are: bharatanatyam of the state of Tamil Nadu, kathak of Uttar Pradesh, kathakali and mohiniyattam of Kerala, kuchipudi of Andhra Pradesh, manipuri of Manipur, odissi of Odisha, and the sattriya of Assam. Theatre in India melds music, dance, and improvised or written dialogue. Often based on Hindu mythology, but also borrowing from medieval romances or social and political events, Indian theatre includes the bhavai of Gujarat, the jatra of West Bengal, the nautanki and ramlila of North India, tamasha of Maharashtra, burrakatha of Andhra Pradesh, terukkuttu of Tamil Nadu, and the yakshagana of Karnataka. Television broadcasting began in India in 1959 as a state-run medium of communication, and had slow expansion for more than two decades. The state monopoly on television broadcast ended in the 1990s and, since then, satellite channels have increasingly shaped popular culture of Indian society. Today, television is the most penetrative media in India; industry estimates indicate that as of 2012 there are over 554 million TV consumers, 462 million with satellite and/or cable connections, compared to other forms of mass media such as press (350 million), radio (156 million) or internet (37 million). Indian cuisine encompasses a wide variety of regional and traditional cuisines, often depending on a particular state (such as Maharashtrian cuisine). Staple foods of Indian cuisine include pearl millet (bājra), rice, whole-wheat flour (aṭṭa), and a variety of lentils, such as masoor (most often red lentils), toor (pigeon peas), urad (black gram), and mong (mung beans). Lentils may be used whole, dehusked—for example, dhuli moong or dhuli urad—or split. Split lentils, or dal, are used extensively. The spice trade between India and Europe is often cited by historians as the primary catalyst for Europe's Age of Discovery. The improved results garnered by the Indian Davis Cup team and other Indian tennis players in the early 2010s have made tennis increasingly popular in the country. India has a comparatively strong presence in shooting sports, and has won several medals at the Olympics, the World Shooting Championships, and the Commonwealth Games. Other sports in which Indians have succeeded internationally include badminton (Saina Nehwal and P V Sindhu are two of the top ranked female badminton players in the world), boxing, and wrestling. Football is popular in West Bengal, Goa, Tamil Nadu, Kerala, and the north-eastern states. India is scheduled to host the 2017 FIFA U-17 World Cup.